Nando’s prides themselves for their peri-peri sauce- it’s spicy, they say. I say- you haven’t tried our chilli padi yet! Peri-peri sauce is nothing I tell you as compared to this spicy little thing. It’s amazing how much junk i can stomach while I study. So this makes for a light lunch (with cedele cake of course!). 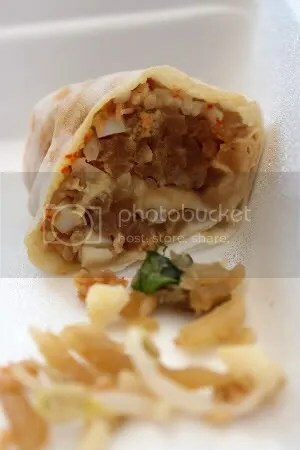 Popiah from bukit timah market ( grandma says it’s next to the stall selling soya bean).